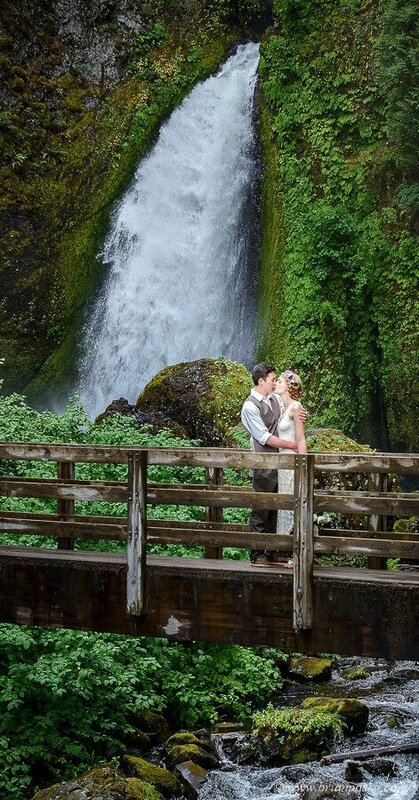 Wahclella falls in Oregon’s Columbia River Gorge is a special place, especially if you decide to get married there! Suffice it to say, Annika is a pretty outdoorsy girl. 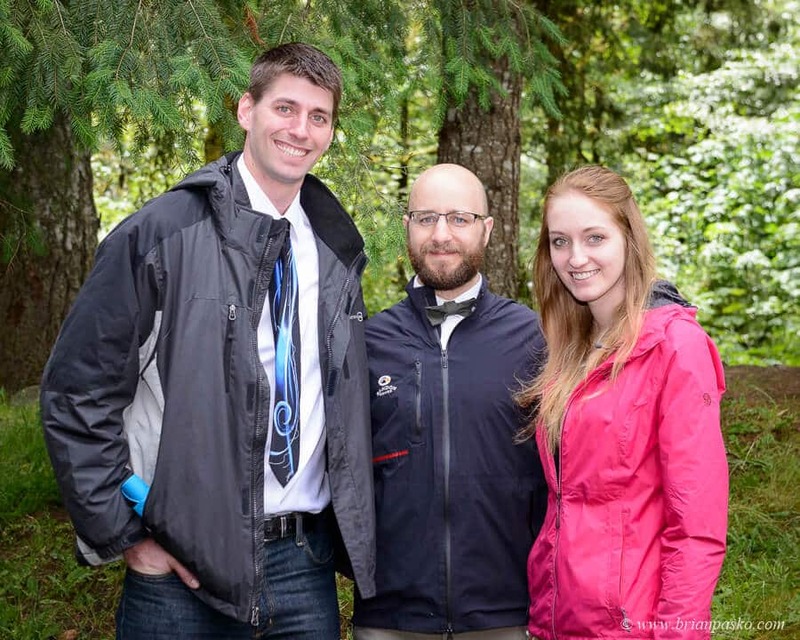 Born in Denmark, she met Kevin at school near Seattle, Washington. When she’s not studying to be a Veterinarian, Annika spends her time looking for her next outdoor adventure. Lucky for her, Kevin’s happy to come along. She even talked him into learning how to rock climb! 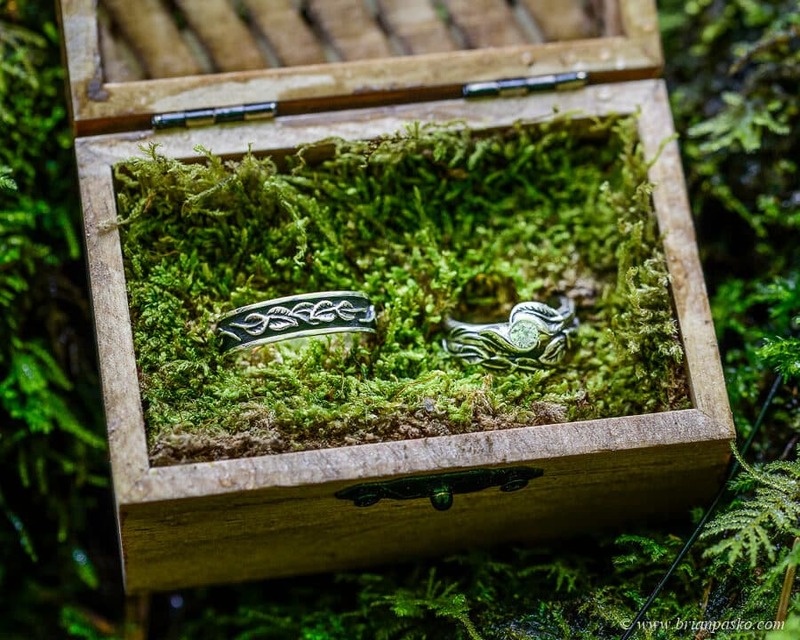 So when the two of them decided to get married, there was no doubt that Kevin and Annika would be planning an outdoor wedding! 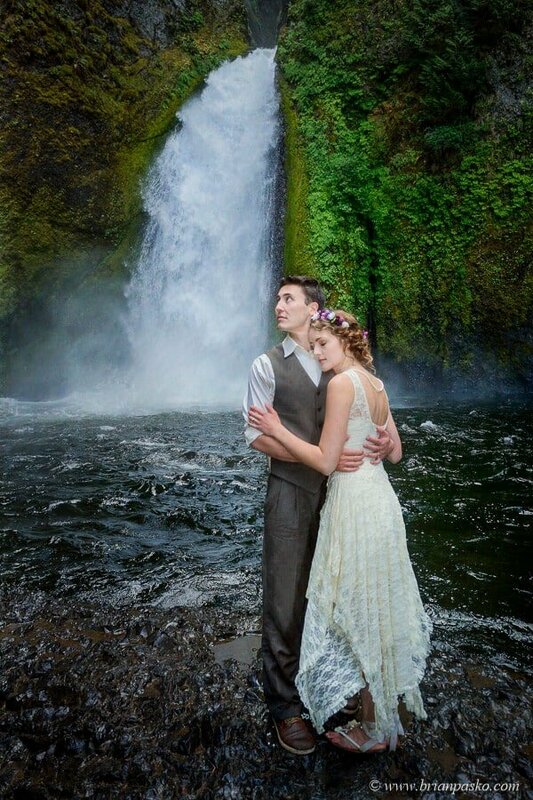 After a number of hiking and camping trips in the Pacific Northwest, they settled on a wedding in the Columbia River Gorge. 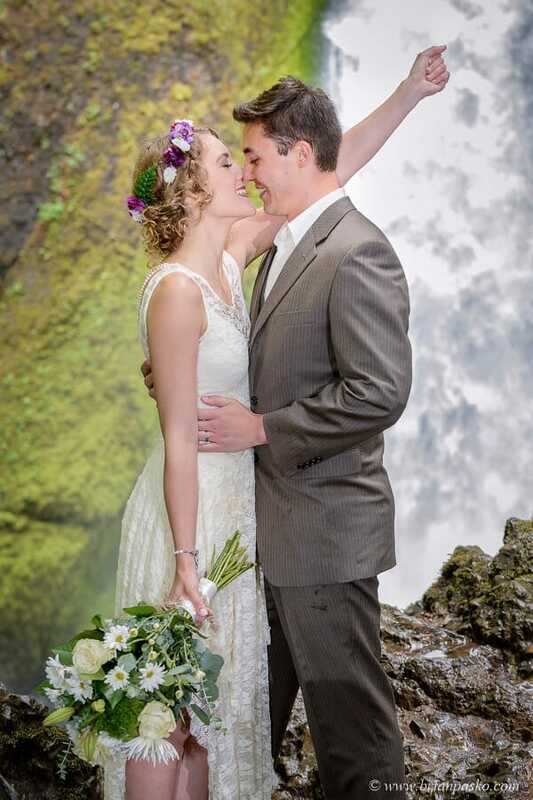 And when they stumbled upon Wahclella Falls tucked away in a narrow, green grotto, they knew they had found the perfect place to exchange their vows. 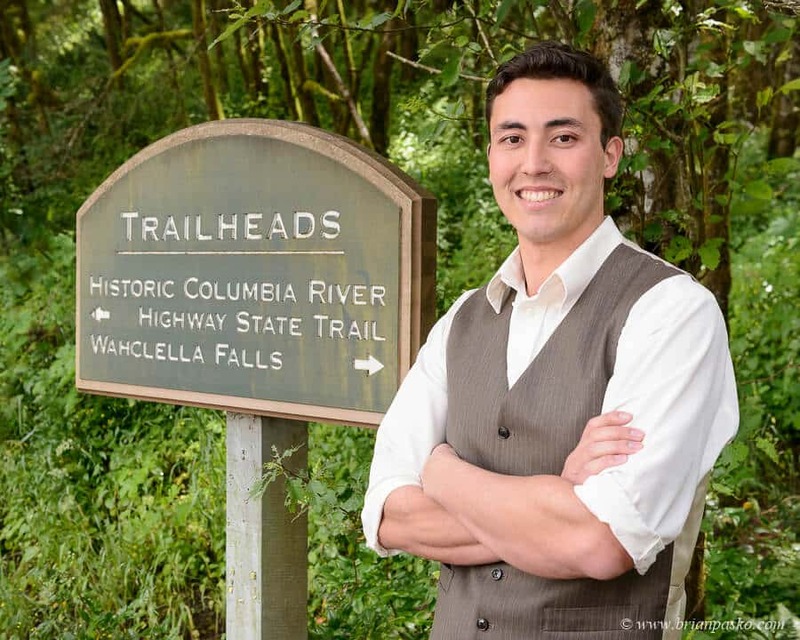 And so, early on a Tuesday afternoon with a 90 percent chance of precipitation, Kevin met their friends and family at a small trailhead across from the Bonneville Dam and began their mile and a half walk up and along Tanner Creek. They passed a small dam used by the Bonneville Fish Hatchery and stopped to admire Munra Falls before beginning the climb up into the canyon. 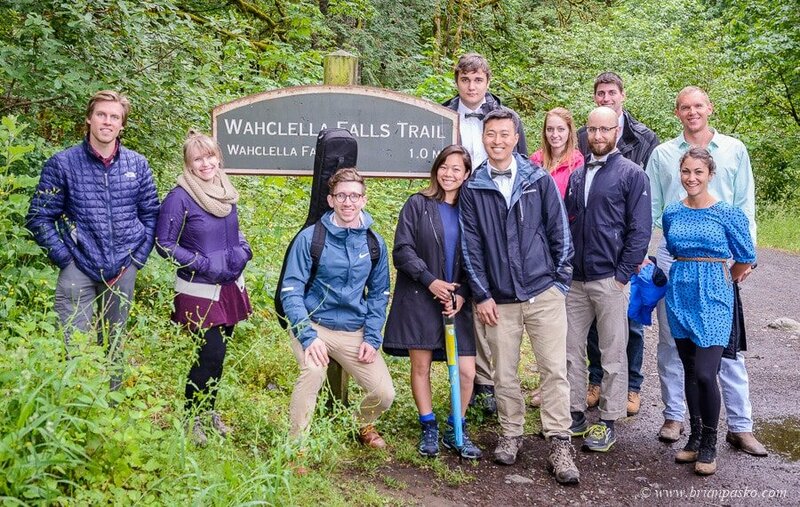 After casually hiking for about 45 minutes they came to a stop at a rocky overlook at the edge of Wahclella Falls. Annika and her bridesmaids began their hike a short time after. 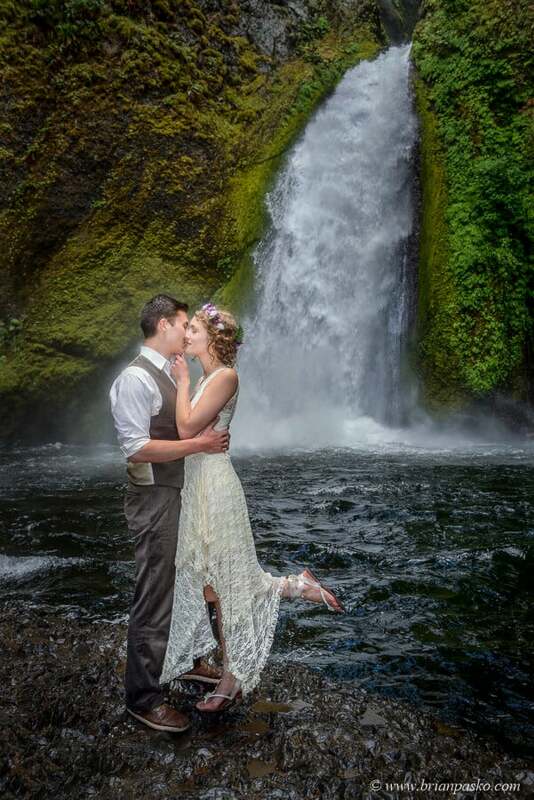 She arrived wearing hiking boots just prior to their wedding ceremony. 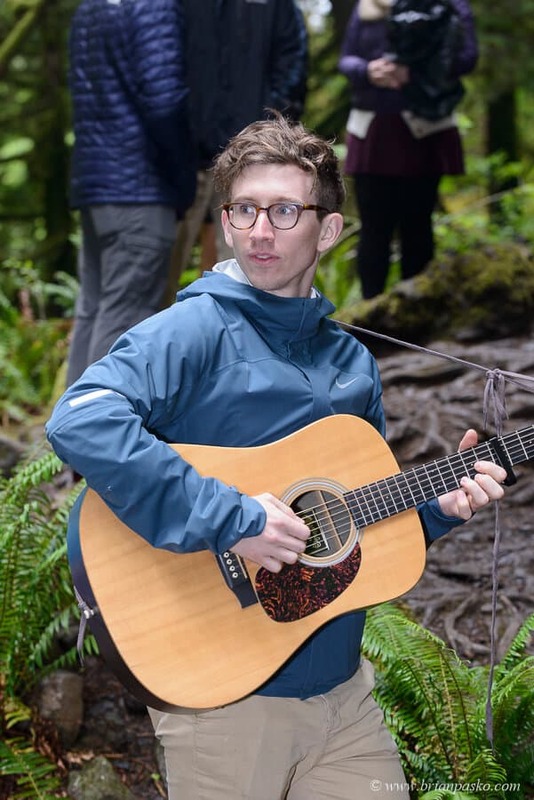 As the wedding ceremony began, friends played music as family members watched the couple exchange their vows on a rocky ledge overlooking the Wahclella Waterfall. The intimate wedding reflected the Bride and Groom’s personality in almost every respect. 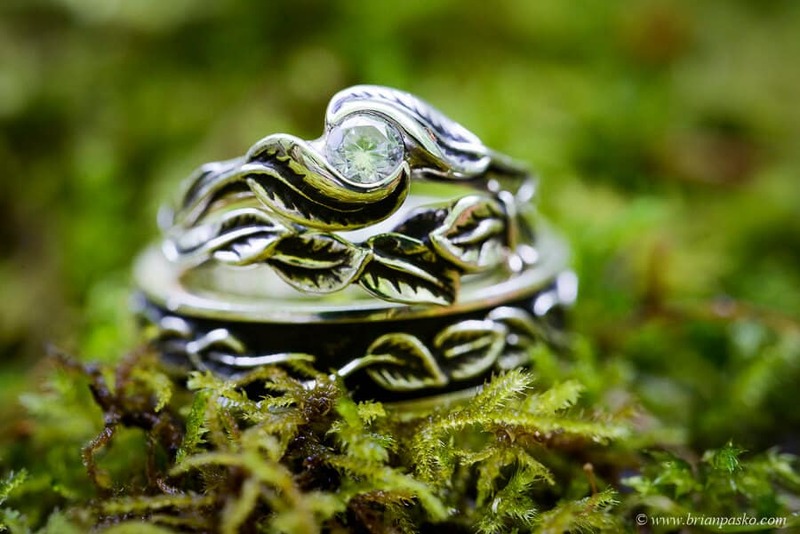 Annika’s dress was hand made and the intricate and beautiful rings were designed to match the vegetation that surrounded them during the ceremony. Within minutes of the Bride and Groom’s kiss at the end of the ceremony, the skies opened up and thunderstorm blew through the canyon. 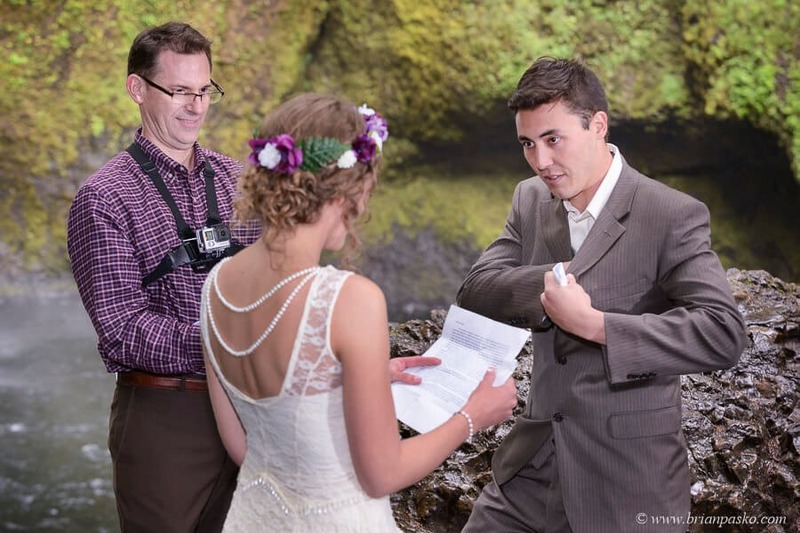 The bride and groom quickly found shelter inside a small cave nearby. 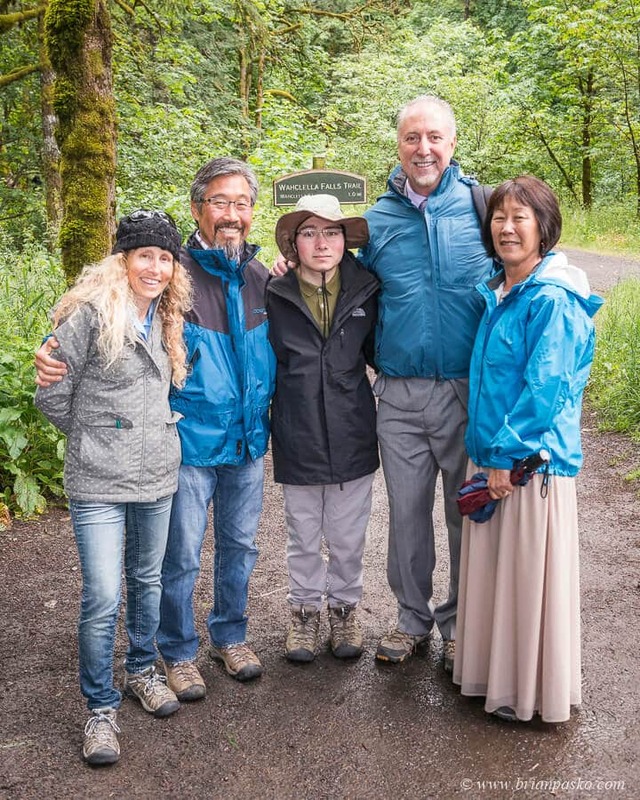 Of course the rain didn’t stop them from enjoying some time at the base of Wahclella falls. And once the rain subsided, they headed back down the trail where they joined their friends for a week of camping. And they lived happily ever after.